Before Sunrise is a 1995 American romantic drama film directed by Richard Linklater and written by Linklater and Kim Krizan. The film follows Jesse (Ethan Hawke), a young American man, and Céline (Julie Delpy), a young French woman, who meet on a train and disembark in Vienna, where they spend the night walking around the city and getting to know each other. The story of Jesse and Céline was inspired by an evening that Richard Linklater spent with a young woman named Amy Lehrhaupt whom he met during a day he spent in Philadelphia traveling from New York to Austin. 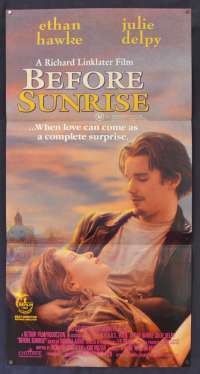 Not until 2010 was Linklater informed that Lehrhaupt had actually died in a motorcycle accident prior to the release of Before Sunrise. Before Sunrise opened to a strongly positive reception from critics and it was a financial success. Jesse and Céline later make an appearance in Linklater's 2001 film Waking Life. 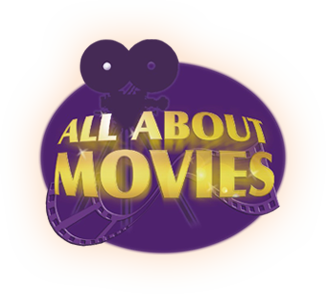 A 2004 sequel, Before Sunset, picks up the story nine years after the events of the first film, and a 2013 sequel, Before Midnight, picks up the story eighteen years on. Pin Holes: One tiny pin hole at the top two corners.